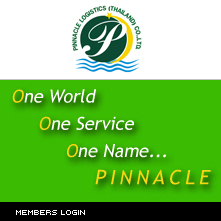 Pinnacle Logistics (Thailand) Co., Ltd. a major name in the intercontinental airfreight industry, creates efficient and flexible supply chains for customers throughout the five continents. Pinnacle Logistics (Thailand) Co., Ltd. utilizes the world leading airline to provide global freight service in hundreds of trade lanes. We understand that airfreight is a premium and costly service, so our program focuses on quick transit and constant communication, combined with the ability to seize cost saving opportunities. Pinnacle Logistics (Thailand) Co., Ltd. utilizes the world leading airline to provide global freight service in hundreds of trade lanes. Our company partners with key carriers that offer the most consistent transit and largest lift. Our international airfreight service level gives our customer the flexibility, yet cost-effective worldwide airfreight options. To offer the most direct, economical routing of your cargo, we contract with multiple carriers, allowing us to create the grate possible flexibility in routing and pricing. Pinnacle Logistics (Thailand) Co., Ltd. provides air cargo services to all major continent in the world including North America, South and Central America, the Far and Middle East, India Sub-Continent, Europe, Australia, New Zealand, and Africa. Through Pinnacle Logistics (Thailand) Co., Ltd. Consolidation Services we provide the best transit time, frequent & flexible flight schedules, cost-effective, competitive rates and cost saving. As a company who offers full service capabilities with flexibility, Pinnacle Logistics (Thailand) Co., Ltd. can handle all details of your shipments, including documentation, conformance to Customs? 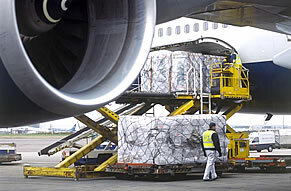 regulations, and the air transport required for exporting your shipment from you door to your overseas customer door. Our charter expertise allows customers to have a variable alternative to scheduled airline lift.